Discussion in 'Axe, Tomahawk, & Hatchet Forum' started by Drum4fun, Apr 15, 2018. 70's-80's ? It was at the swap meet . Apologies only one photo. one of the "Mexico" heads ? Thank you . It's probably USA Mann which is better than an import but still not premium steel. The 'Homestead' was always a homeowner quality axe. Edit: I'm not saying they're not good. Just saying they're not great. nah that's just a normal collins. It looks a lot like this old Mann/Collins I used to own. I decided to pass. Thanks. Seller wanted $10.00. In today's market $10 ain't bad for that axe. Was the handle good? for my blood, but , really wanted it ! Thanks again. Definitely a Mann made axe. 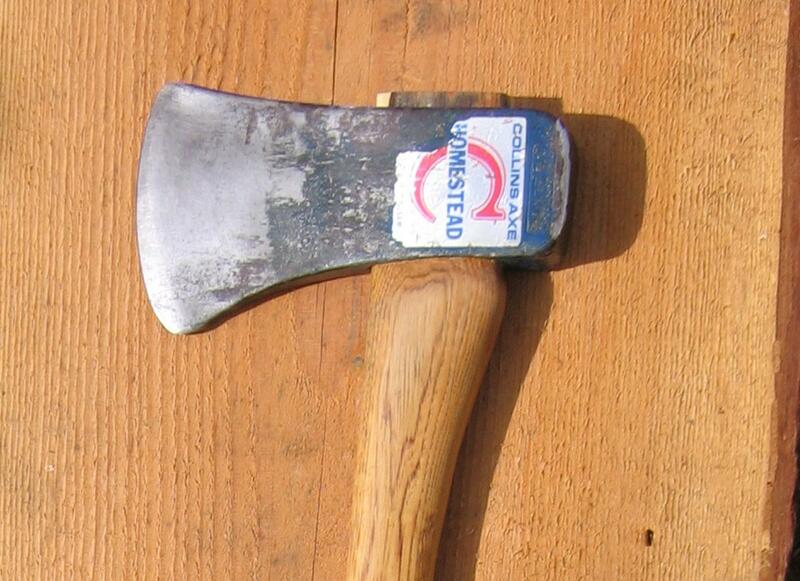 Probably okay, but not as good as a Collins made Homestead axe from the 60's and earlier. Never a premium axe to begin with.